Rising in the wee hours of the morning and logging 12-hour+ driving days has become a mainstay of life as full-time travelers. In early June, we faced the daunting reality that a 3,000 mile journey stood ahead of us as we made the voyage from California back to the Carolinas, where we planned to spend the summer. 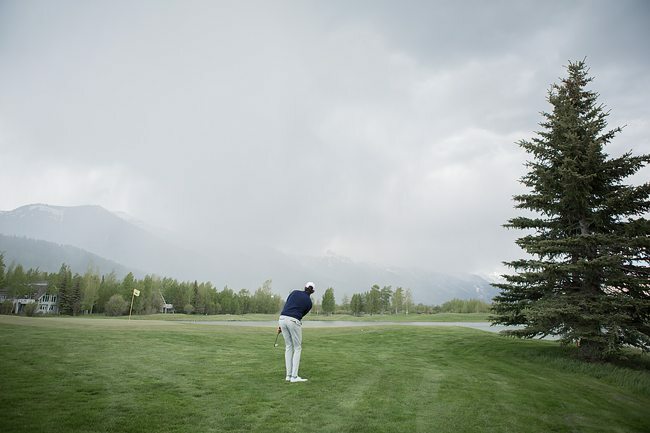 But as a stroke of luck would have it, our journey was interrupted by a 500 mile detour to an unlikely destination for a warm-weather loving golfer: Jackson, Wyoming. 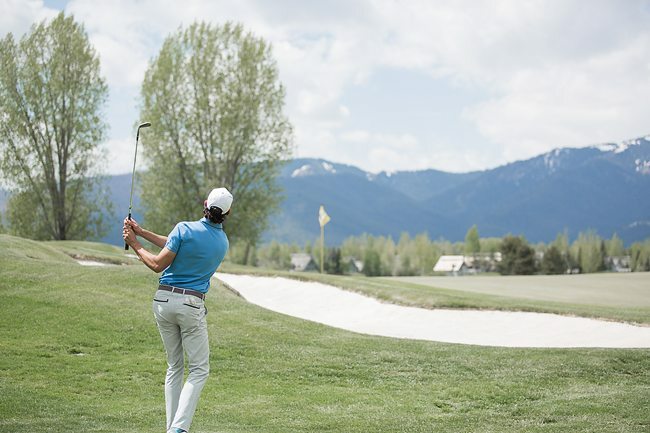 Over the years, I’ve discovered an abundance of great golf courses in a variety of different towns and regions. 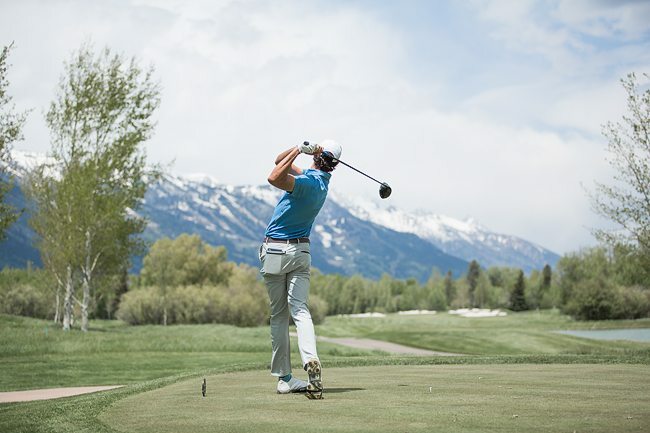 It was no surprise to find that areas such as Scottsdale and San Diego boasted many great designs, but with over 500 inches of snow each year, booking a golf trip to Jackson Hole likely doesn’t top your list. 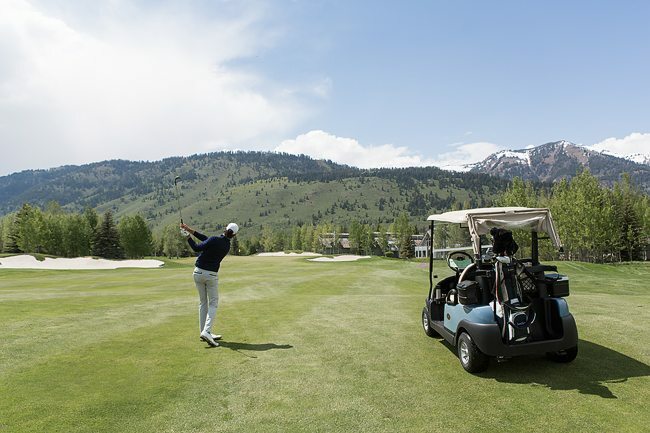 However, as frigid winter temperatures rise, the snow melts and the popular ski season subsides, Jackson Hole becomes an oasis of outdoor adventure and – believe it or not – a great setting for some brilliant golf. 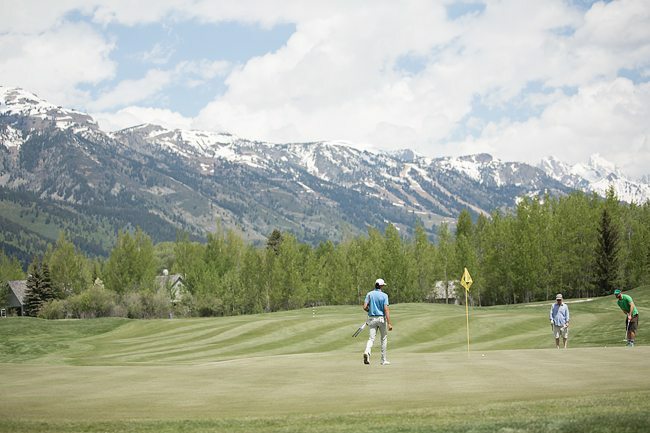 Though many of the courses in the area are private, there are several that allow public play in the afternoon. 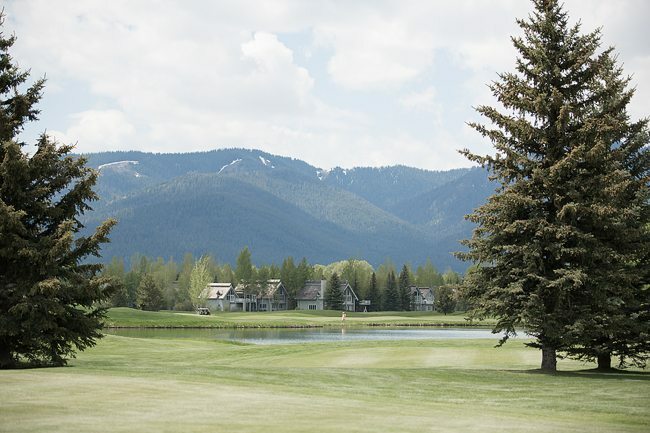 We chose to play Teton Pines Country Club, located about 15 minutes northwest of downtown Jackson. 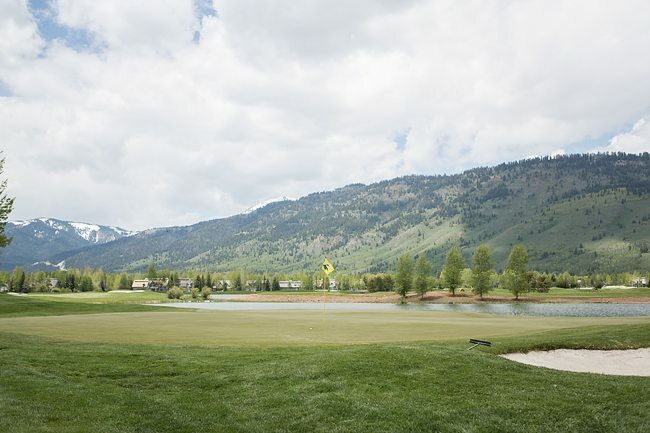 Designed by Arnold Palmer & Ed Seay, Teton Pines CC winds its way through the amazing natural Wyoming landscape and offers breathtaking mountain views on nearly every hole. 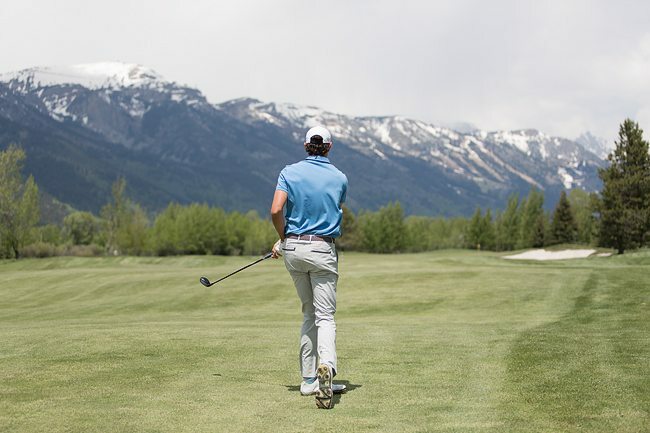 Six sets of tees ranging from 5,400 to 7,400 yards offer a variety of options for golfers of all levels. 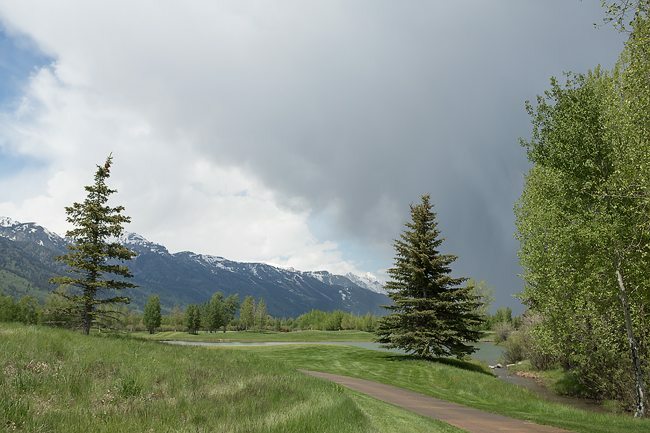 Here are few reasons I’d recommend playing Teton Pines CC in Jackson, Wyoming. 1. 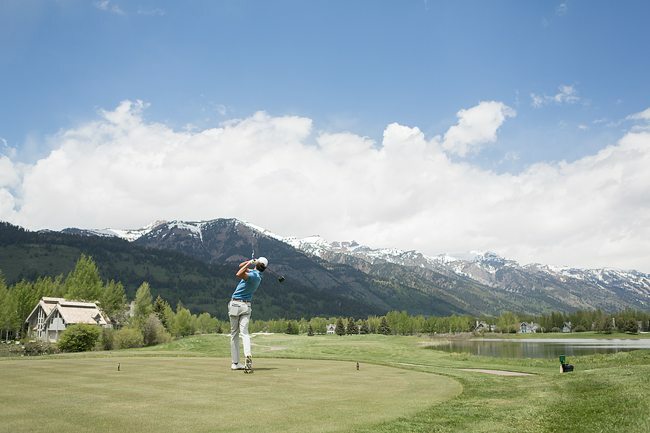 The Views — Teton Pines CC is situated perfectly at the base of it’s namesake, the Teton Mountain Range. 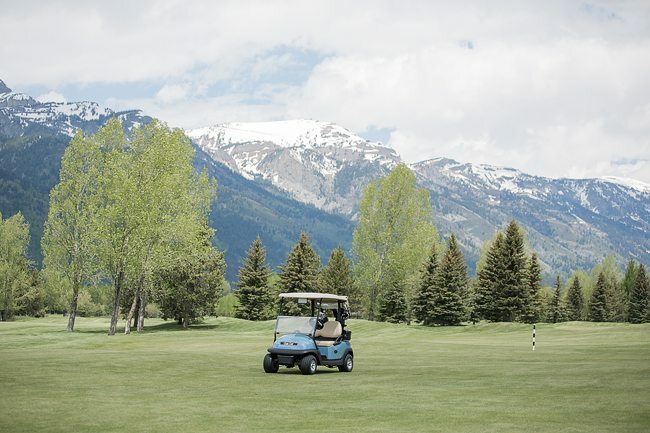 Rendezvous and Taylor Peaks offer great views just west of the course, while the larger than life Grand Teton (the highest peak in the Teton Range) looms in the distance. 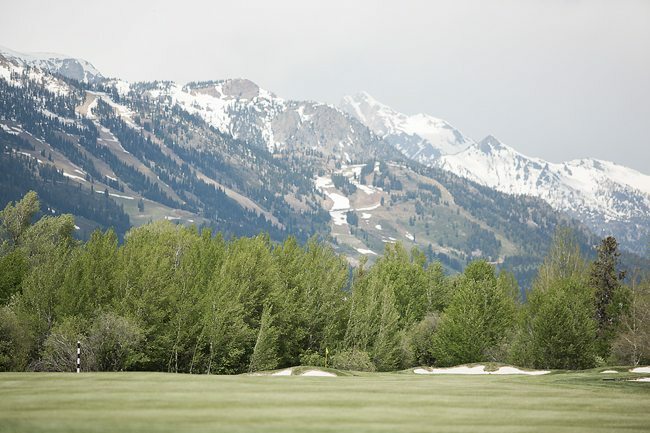 Even in the summer, white snowcaps offer a picturesque contrast to the lush green golf course. 2. 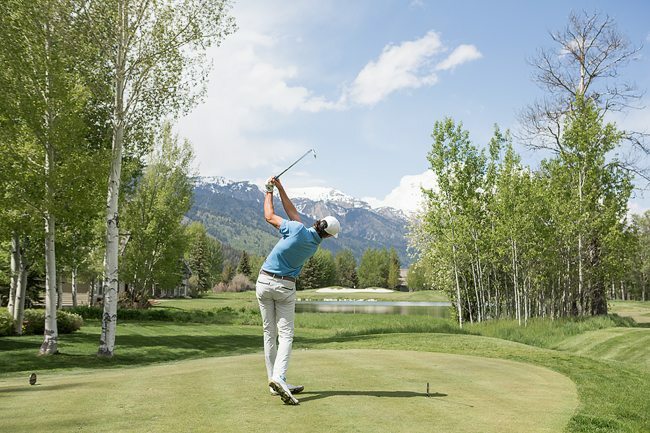 The Conditions — Teton Pines CC lives up to the price tag, as perfectly manicured fairways are framed nicely by lush green rough. Despite having only opened a few weeks prior to us playing (after the snow melt), I found the course to be in pristine condition. 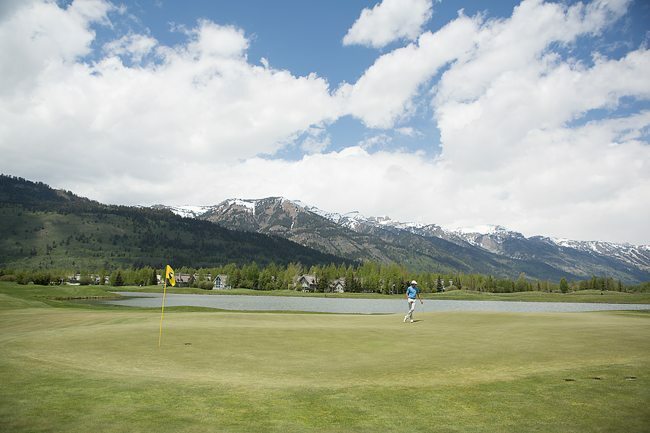 Pure greens rolling at a nice moderate pace further enhance the experience at Teton Pines. 3. 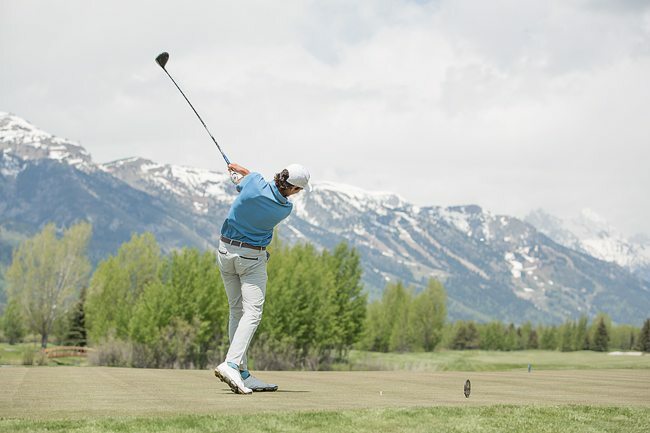 The Elevation — If you’re yearning for an extra 10-20 yards, make your way to Jackson. 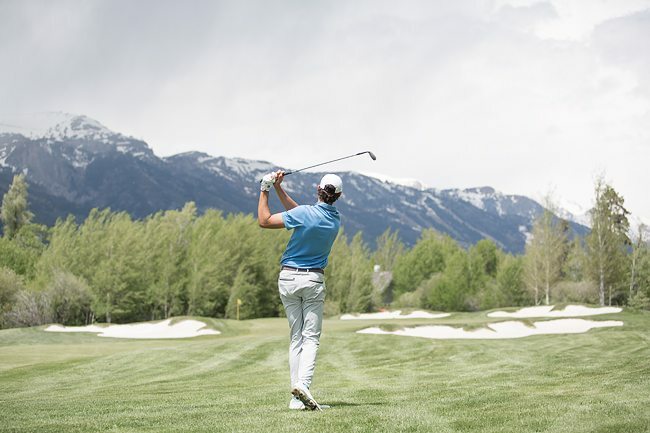 The course elevation of 6,000+ feet lends itself to big-time drives. 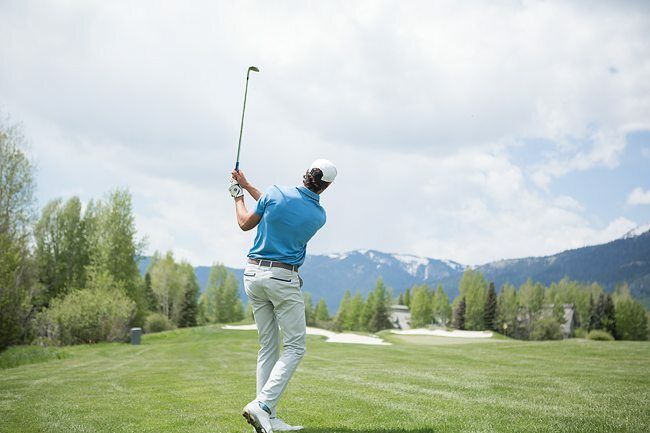 Do your best to contain your excitement – unfortunately this added distance won’t make it back with you to your local club! 4. 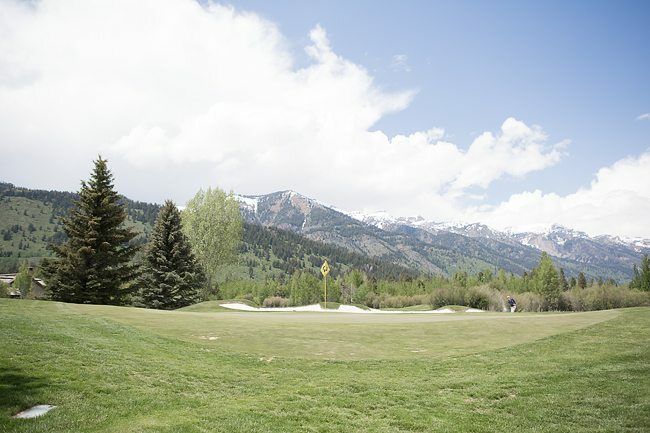 The Course Layout — Although the golf course itself is relatively flat, the variety of holes make for a memorable layout. 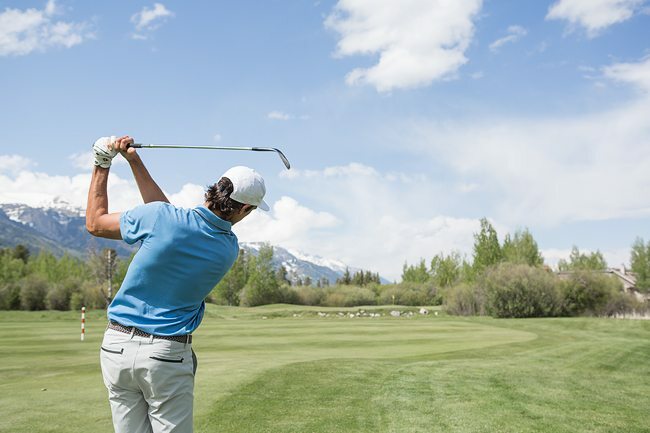 It’s the type of course where you’ll hit every club in your bag, offering a mix of demanding and birdieable holes. 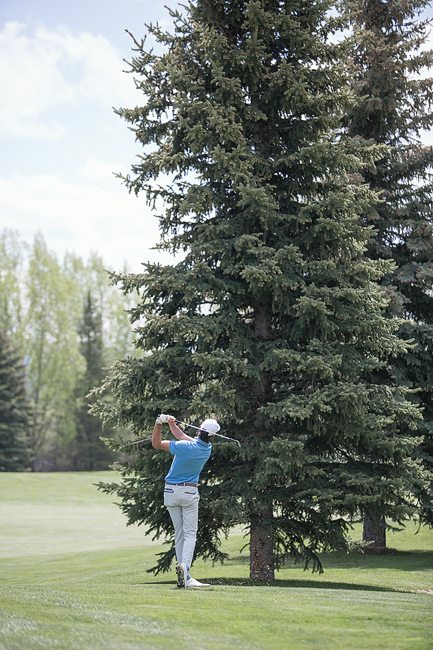 Tree lined fairways, well placed bunkering, natural fescue, and plenty of water hazards keep you on your toes throughout the round. 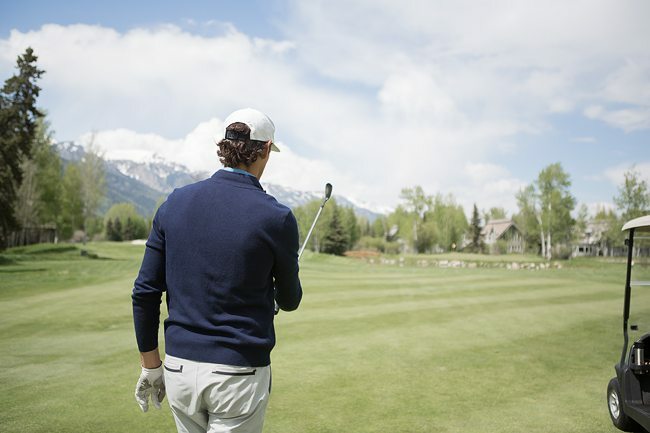 You’ll be welcomed by a mix of straight vs. dogleg holes, as well as grip-it and rip-it vs. strategy holes. I’d be hard pressed to say there are any “weak” golf holes on the layout. 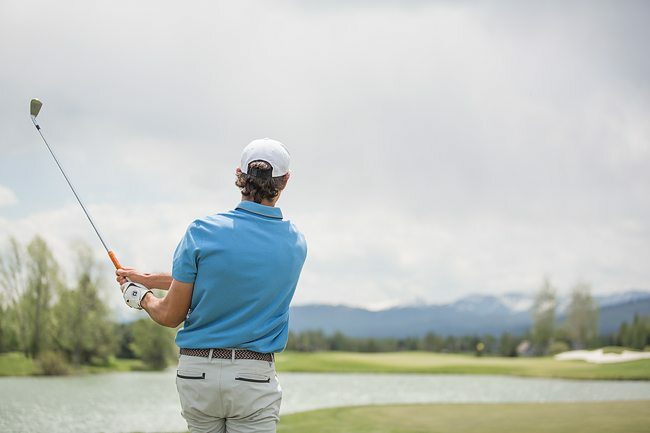 Each hole has a place and purpose, and challenges the golfer to think before pulling the club of choice. 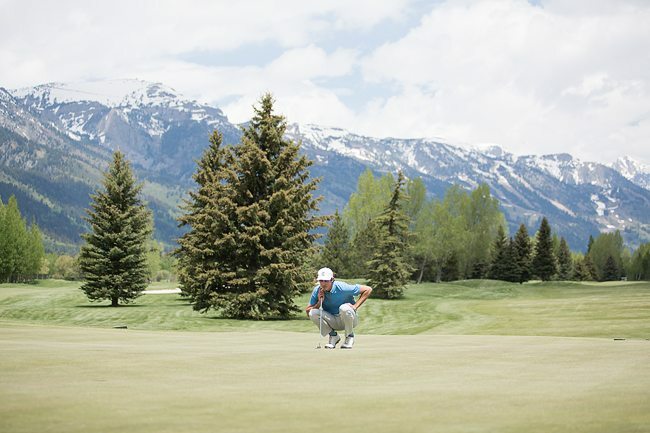 The finishing holes are some of the finest on the course. 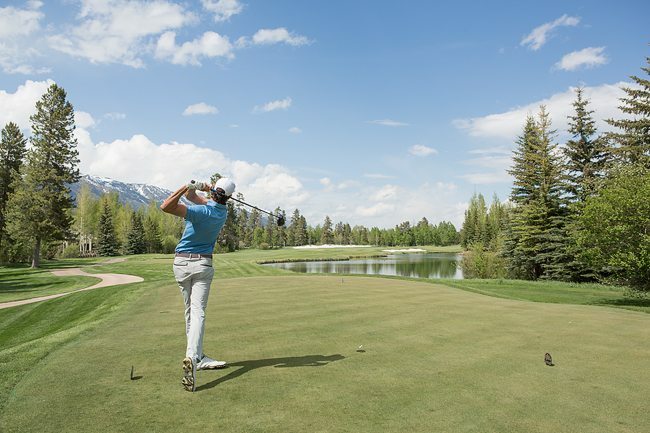 Hole 15 is a lengthy 443 yard par 4, demanding a precise tee shot and an accurate approach to a well guarded green. 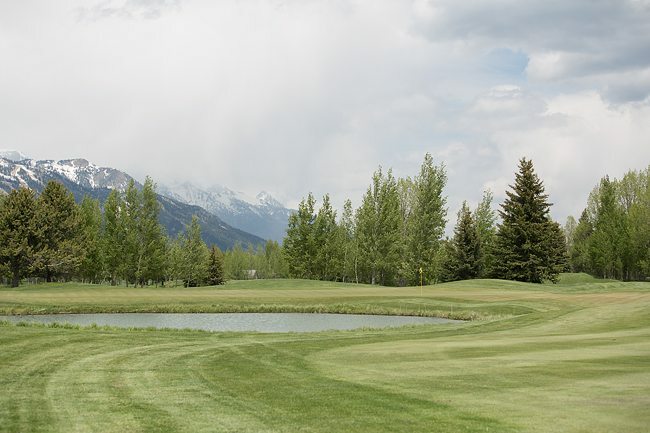 The 202 yard par 3 16th features a full carry over water, and is beautifully framed by the mountain range. The 17th, although a benign 333 yards, again requires precision with a narrow tee shot and a tricky angled green. 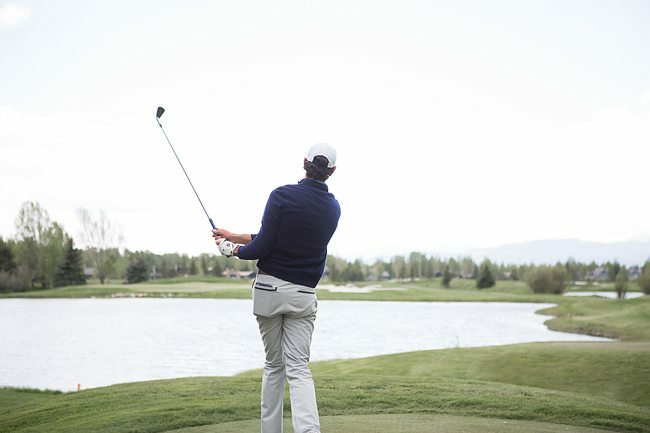 Lastly, the 18th sends you home with a bang, as the 472 yard par 4 closer challenges golfers to bite off as much of the dogleg right hole as they dare. 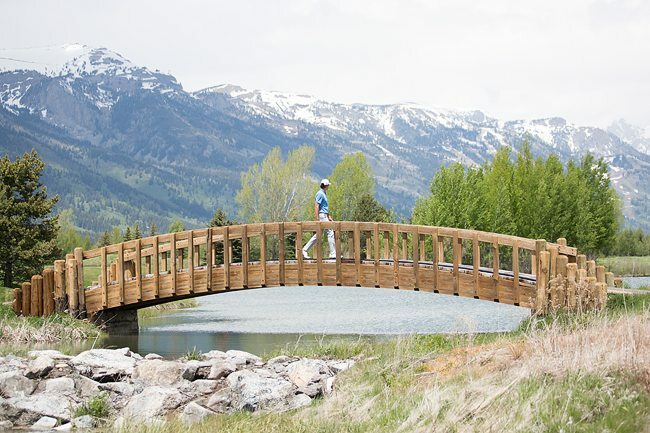 A lake awaits any wayward tee shots and acts as the perfect setting to view some of the beautiful Jackson Hole homes that line it. Looking to kill some time before that afternoon round? Wander the lively streets of downtown Jackson, and grab lunch or breakfast at one of the many local food spots. 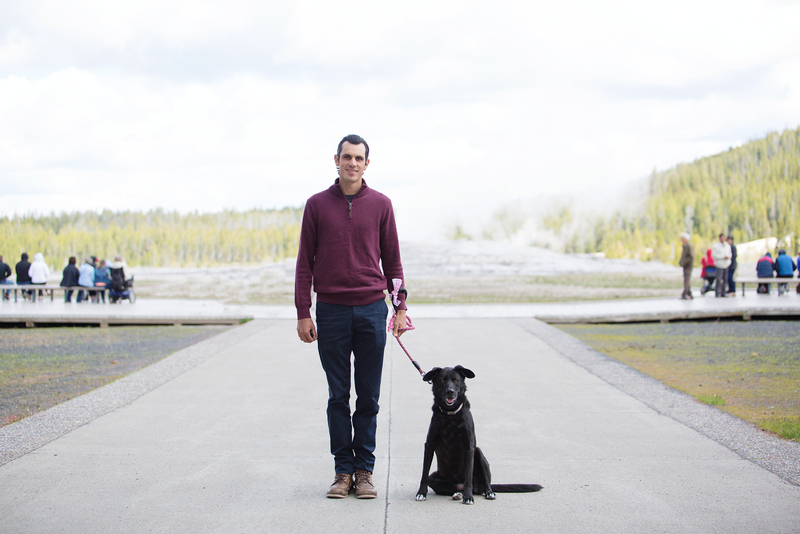 Also, be sure to carve out a few days to check out nearby Grand Teton National Park and Yellowstone National Park. From hiking to white water rafting, experiencing Old Faithful, or simply driving the park in the comfort of your vehicle in search of ever present wildlife (think bison, elk, moose, grizzlies, wolf, etc! ), there are endless activities to enjoy in the area. 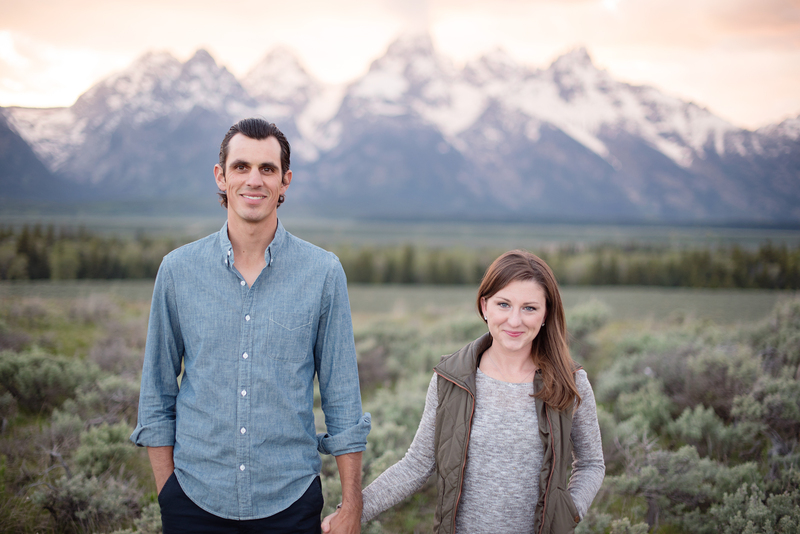 If you’re planning a trip out west, be sure to put Jackson Hole on your radar. 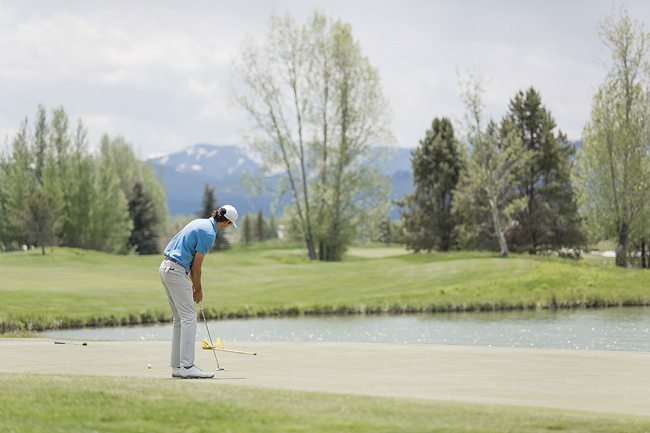 And don’t forget to pack your clubs and book a round at Teton Pines CC!